My guest today is another Crooked Cat Publishing author whom I had the pleasure of meeting at last year’s CC get-together. Despite working full time and commuting to London, June finds the time to write short stories and novels. And her amusing observations from her commuting experiences have regularly been in a mainstream newspaper’s ‘Scribbler About Town’ column. Let’s find out how she juggles all this. Hi, June, and thanks for joining me on the chaise longue. Hi Vanessa – Thank you for inviting me to your blog. It’s good to relax on your beautiful chaise longue – I feel privileged following your previous famous visitors. My pleasure. I understand your addiction to writing started as a cure for another addiction. How did that happen? My addiction? That was smoking. I had been a smoker for many years and had failed many times in giving up the habit. That was until I began writing. I realised I needed a distraction that kept both my mind and hands busy at the same time. 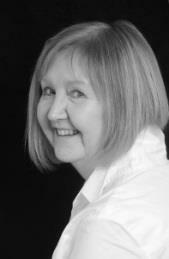 I enrolled in an Open University Start Writing Fiction course and joined some writing groups. Suddenly, smoking became history as I became addicted to writing instead. My very first ‘article’ was about giving up smoking for the staff magazine for my then employer. 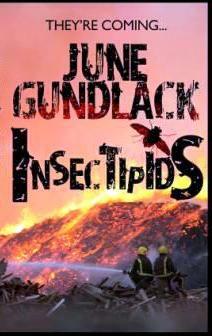 Tell us about Insectipids, your YA novel that was published last year. What gave you the idea? Ah – Insectipids. Those evil and pesky flies. The idea basically was dreamt up by my having watched and listened to some of my then young nephew’s adventures. Listening to the enthusiastic dreams and role playing made me go back to my inner child and begin an adventure. I particularly wanted to make my protagonist ‘different’ – not perfect – so he would learn to deal with bullies and challenges by knowledge, and courage – not reverting to unnecessary violence. I also detest flies – hence my choice of antagonist. Vanessa: You sound like my mother, who was like a whirling dervish with a fly swat whenever she saw a fly! What other fiction have you written? I have written a few short stories for charity anthologies – an area I like to be active in. A collection of stories is often an easy challenge for readers as they can stop and start without losing the thread. Shambelurklers and Shambelurklers Return were anthologies written by many authors and edited and published by a dear writing friend, Marit Meredith, with all royalties being donated to http://www.autism.org.uk/advocacy . These stories were aimed at younger readers. Another anthology I was privileged to have a story in is 100 Stories for Queensland – a collection of uplifting and quirky stories from authors around the world. This was brought out in 2011 soon after the devastating floods in Queensland; the funds raised were to help those affected by that disaster. A more recent anthology was published by various authors from Look4Books.co.uk, Look4Books Medley of Short Stories. This is a more adult book aiming to raise money for two great charities, Autistic Society and Alzheimer’s Society. I have also had a few stories in magazines. I enjoy humour and mystery. Vanessa: I also had a story published in Shambelurklers Return. Such a good cause. You have another incarnation as ‘Scribbler About Town’. What’s that all about? My scribbling came about from my daily commute to London. Some antics observed have been written up – real events with my slightly humorous pen – sometimes I turn the pen on me – so I am fair! I submitted a few of these scribbles to a mainstream newspaper and after a while my antics became quite regular and I enjoyed seeing what the paper’s cartoonist would make of the events – he always managed to capture ‘the moment’ as if he’d been there. You commute to your job in London, along with millions of others. How do you cope with the frustrations and does it give you inspiration? Aha – see number 4! Travelling can be frustrating, but it is also entertaining. Many of my characters and their traits can come from something I observe on my varied routes into London. I’m half-way into another adventure – again for YA. Crime, Mystery and adventure. I have found writing to be an introduction to many interesting people. Some have even asked to be characters in the next book! Since the launch of Insectipids, I have had some wonderful feedback from young (and not so young) readers – and they have inspired me to write more of the same genre. One young reader actually wrote a lovely review on paper – I still have this and it was a humbling moment when I read it. Another youngster said he had been inspired by James, my protagonist – and he would now not fear bullies! That for me was a good result. A slightly older reader read the book on a flight to Australia and said he kept a supply of insect repellent after… in case. Is your parrot going to appear in any of your books? And what would she have to say about it? Holly bird! Oh that would have to be a comedy. She is a great little character and has some excellent ‘laughs’ – these sound like canned-laughter and she’s obviously picked these up from the television. Holly manages to choose the right moment to laugh and it causes her human audience to fall about laughing too. Sounds like a lovely pet. Thanks so much for joining me today, June. Copyright © June Gundlack, Vanessa Couchman 2015. All rights reserved. This entry was posted in Author interviews, Fiction, Short stories and tagged author interview, Crooked Cat Publishing, fiction, Insectipids, June Gundlack, short stories, Young Adult fiction by nessafrance. Bookmark the permalink.